Many families think they are doing a great job protecting the environment by tossing their cans and bottles in the bin and setting it at the curb every week for the recycling company to pick up. This all helps, but there might be some issues with our going-green plan. If you want the best possible outcome from the methods your family uses, I want you to beware of these five common recycling mistakes. Mistake #1 — Not recycling everything that can be recycled. More materials and items can get recycled all the time. 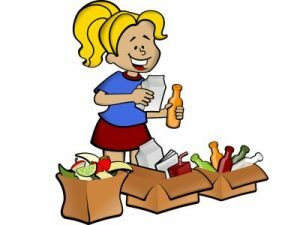 All of us know that soup cans, water bottles and newspapers can be recycled. Many others, however, may not know that things like mattresses, batteries and crayons can be recycled as well. Most of these extras cannot simply be put in a curbside bin, however. If your family is truly dedicated to environmental protection, I encourage you to take the time to learn about all the options. Mistake #2 – Trying to recycle things that cannot be recycled. Some people passionate about the earth try to include everything possible even if it isn’t accepted by the recycling company. For example, a glass bottle is allowed while Pyrex or window glass is not. A one-liter plastic soda bottle can go, but a five-gallon water jug might not. Plastic has many types, shown with a number on the bottom of the item, and recycling only works for some of them. Mistake #3 – Not separating stuff that has to be separated. Some recycling processes make you separate metal, plastic, glass and paper into different containers before being picked up. While this does take extra effort, not doing it where required can complicate the process. I would also like to point out that separating things when they do not need to be is a mistake too. For convenience and speed, I recommend that you hire a professional recycling company that accepts mixed materials. Mistake #4 – Including stuff that will slow down or damage the recycling process. The three main culprits that gum up the works at the recycling facility are shredded paper, food-stained items and plastic bags. These things do not break down easily in the mechanism and either get caught in it or fall right through and make a mess. Remember, you can recycle the top of a pizza box if it didn’t touch the cheese, but you should throw away the oil-stained bottoms. Mistake #5 – Failure to reduce and reuse first! One of the most common mistakes families make when starting to recycle is not adopting the other two Rs of green living first. Reducing how much you use is always the first step to take. Instead of individual water bottles, let’s buy filters and use glassware. We should use scrap paper for craft projects instead of buying brand new pads and using only one side. Also, there are plenty of interesting ways to reuse the recyclables we do buy before tossing them away.